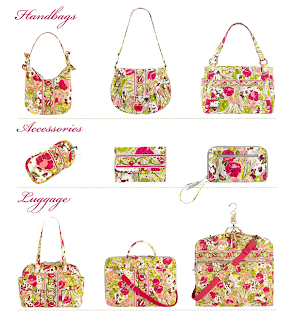 Featured are the four new Vera Bradley patterns, which will be introduced in the Summer 2010 collection. Which one is your favorite? 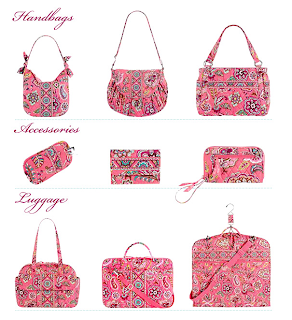 Thanks for checking out Vera Bradley's newest patterns! Which ones do you love? Any must haves here? 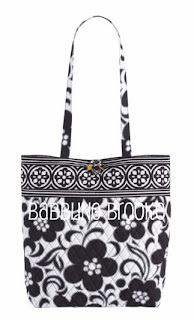 I love the black and white pattern as well as the multicolored pattern at the bottom! Of course I am a purple fanatic....I always seem to change my mind when I seem them in person so I guess I will just have to wait and see which is my fav! And then there were names! Glad the names have been released -- thanks for sharing! 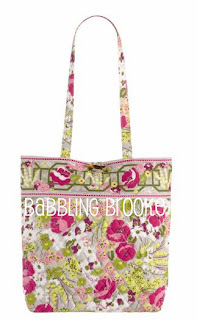 These patterns are truly a relief from the Spring 2010 collections. 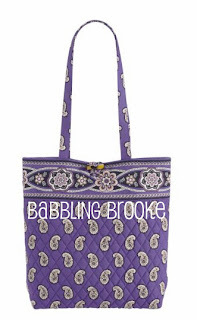 The Simply Violet is very similiar to the Purple Punch pattern from many years ago. Night and Day is also a nice netural pattern that will certainly be popular, as some people I've talked to can't get over how Veras don't "match" their wardrobes...although that is the essence of the Vera style. ^^ I'm glad you like them, and I completely agree with you. 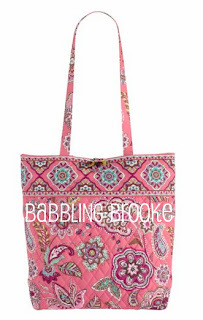 I am really looking forward to this collection, I think it really goes back to the Vera Bradley I fell in love with. When will the summer 2010 patterns be available? 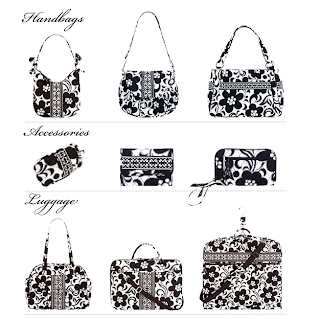 Any idea which pattern will be the next luggage? Shipping for Summer is March 18th. They just came out with some Blue Rhapsody luggage. I don't know if they will be doing anything else new right now. Brooke, I notice you have Fall '10 titled, any pics? I like all the patterns for summer 2010. Will there be a baby bag made with these patterns? I hope!? Looking forward to seeing them in person. Love all the summer 2010 patterns. Will baby bags be made in all of these?! I hope ! Looking forward to seeing them in person. I am always excited when the new patterns arrive! But I am a bit worried that the black and white pattern will look like a cow print from a distance. :( Does anyone know when the patterns such as "Hope Garden" and "Purple Punch" will go on retirement sale?